I love snow days! So much time to work on my backlog of projects. I think this one turned out really well! 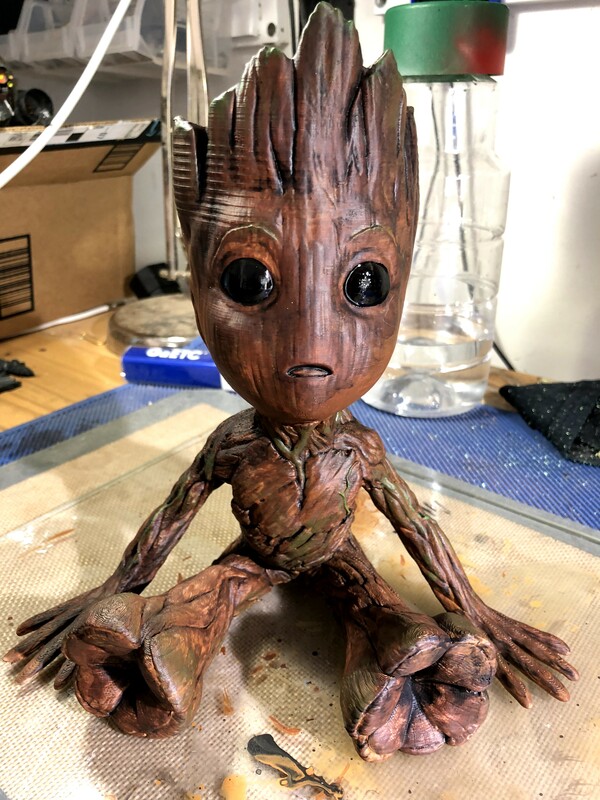 I recently bought a new 3D printer. It was cheap, and had a build area much, much larger than the Flashforge Creator Pros I’ve been using, and the price was great (under $500!). Even so, I almost passed on it, because it’s different. It makes so much sense to have a lot of the same kind of printer – parts are interchangeable, there’s no additional learning curve, etc. But I am SO glad I took this chance. Because now I can print Abe. One of the benefits I’ve always touted in 3D printing is the ability to reproduce museum pieces. Because, kids, what’s the first rule of museums? Not anymore! And years ago I printed an example of this – a miniature scan of Abraham Lincoln’s head from the Smithsonian. I could pass this around to the kids, and explain that when Lincoln was alive, he had a plaster cast made of his head. That cast was made into a bronze. And that bronze was scanned with lasers, and now you can touch an exact replica of Lincolns head. That still amazes me. But the kids didn’t really get it. 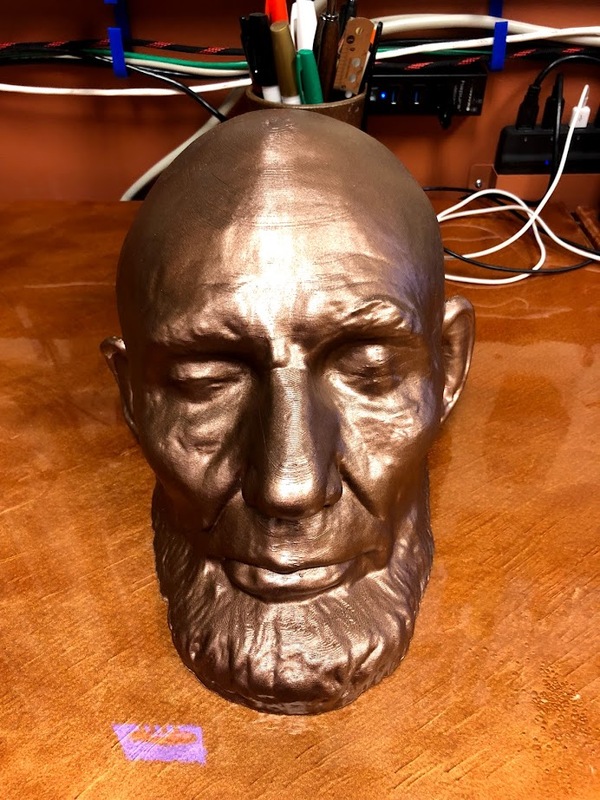 But now, after a hundred hours of printing, I have a FULL SIZE replica of Lincoln’s head! The kids can’t help but get it! It’s like a museum piece, but you can touch it! Bwhahaha!